Is bigger better? 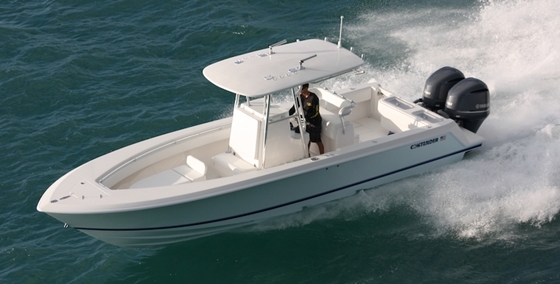 When it comes to center consoles fishboats like the Contender 39ST, the answer is often YES. 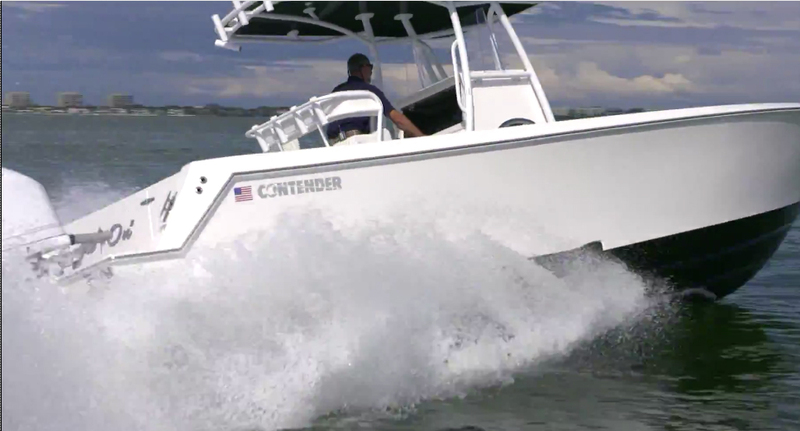 Just when you thought center console fishboats couldn’t possibly get any bigger, Contender introduces its 39ST mega-monster fishing machine. 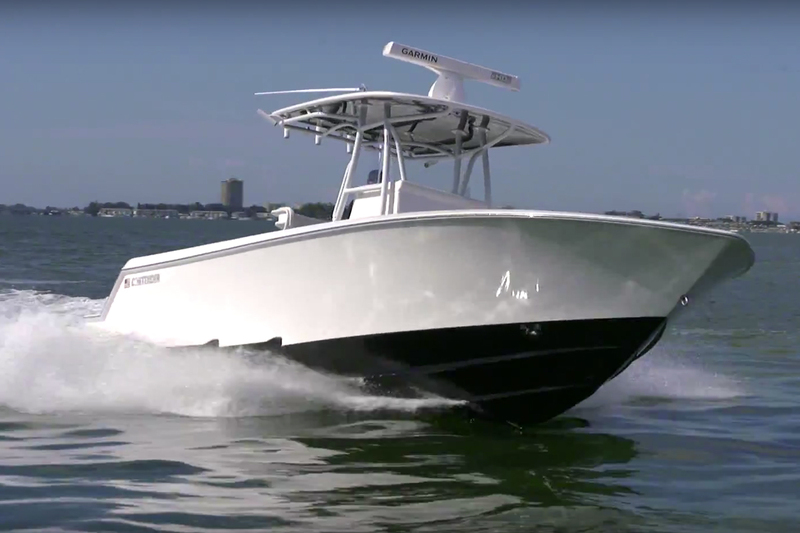 This is the third Contender to ride on a twin-stepped hull (the other two are the 32ST and the 35ST), and it’s the biggest center console in the Contender line-up. The 39ST is so darn new few people have seen it, but you can get a peek on their web site, or check out this picture, right now! 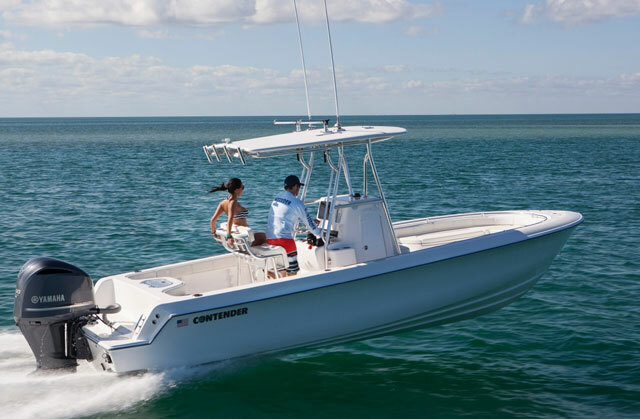 The Contender 39ST is one of the biggest center consoles around. How do you power such a massive center console in the first place? With outboard horses—lots and lots of horses. 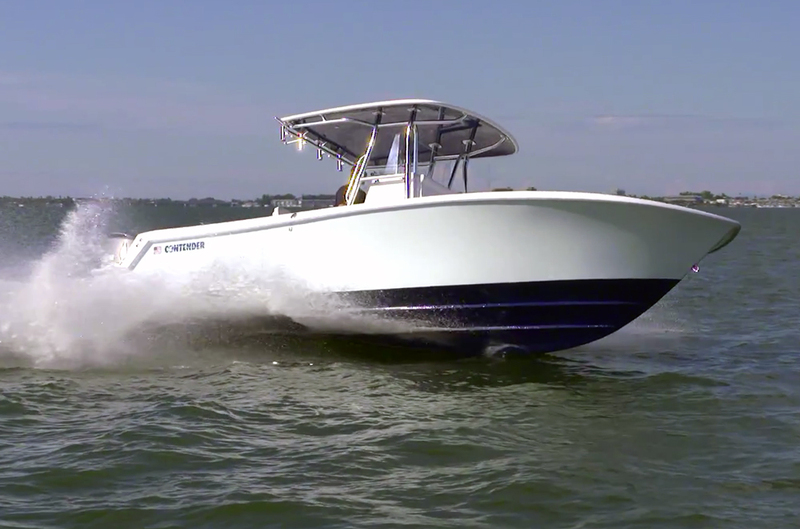 A pair of 5.3-liter, V-8, 350 horsepower Yamahas is the minimum power choice available, triples 350’s fit on the transom, and you can also opt for triple 4.2-liter, V-6, F-300 four strokes. To keep this herd of ponies well-fed, the 39ST hauls a whopping 500 gallons of fuel. 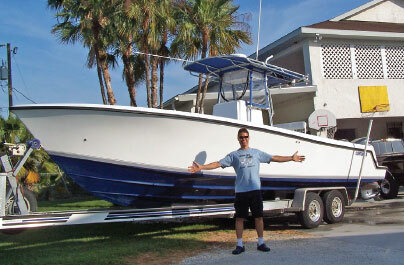 As we expect from Contender, the 39ST has a long list of fishing features including such goodies as multiple large livewells with sea-chest plumbing, monster fishboxes in the deck, and gunwales that accommodate literally dozens of flush-mount rodholders plus downrigger mounts and thick coaming bolsters. You can also order this boat with upgrades like coffin boxes, T-tops with rocket launchers and outriggers, and tackle stations. 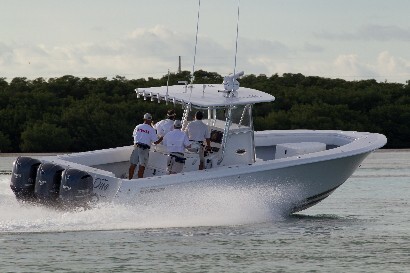 Naturally, the console houses a head compartment (this one’s large enough to outfit with a shower, in case for some bizarre reason you don’t want to go home smelling like fish), and unlike many open boats, the 39ST’s jumbo console provides enough protection to keep both you and your crew dry and comfy. Speaking of comfy: one of the advantages of monster CC’s is the fact that they sport a lot more creature comforts than smaller dedicated fishboats, and this is apparent on the 39ST. There are seating options aplenty, for example, including forward U-shaped seating, forward island seating, removable rear bench seats, and numerous helm seating arrangements. 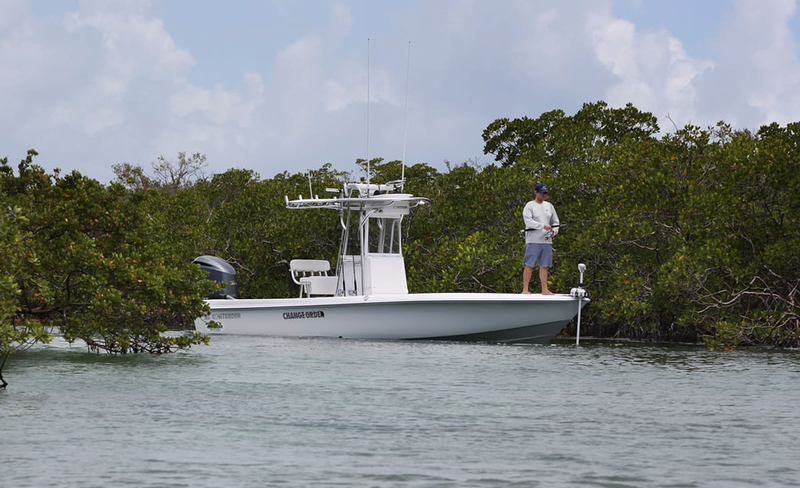 Of course, if you look past all the extras and see the 39ST in its most basic form, it all boils down to one simple fact: when it comes to center console fishboats, bigger is often better—and evidently we still haven’t seen the biggest yet.